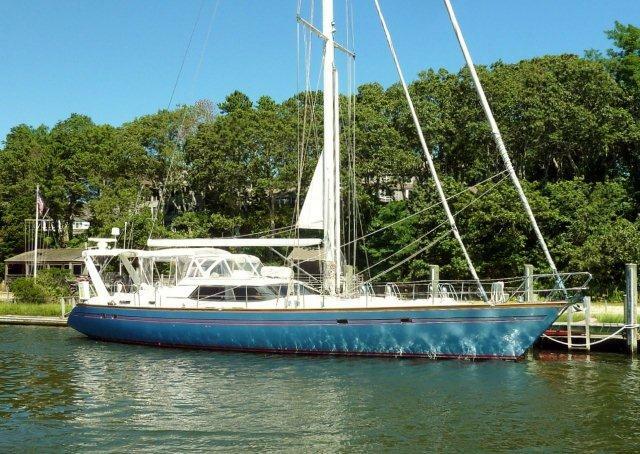 AT LAST a 58' Taswell All Season 1997 price reduced to $599,000!! The raised salon offers a full panoramic view from both the circular dining area and the dedicated inside steering station opposite to starboard. A U-shaped gourmet galley and complete navigation station are found on the lower salon level forward. The wrap-around windows of the salon allow an abundance of natural light, which creates a very inviting environment. Contact John Osetek (401) 465-8634 for more details.